With fitness on everybody’s mind, Keto Diet is gaining a lot of popularity lately. Keto Diet is a low-carb diet that helps in weight loss, providing more energy, controls blood sugar level etc..Medium-chain triglyceride (MCT) is becoming a popular ingredient in this diet. Triglycerides are the main constituents of natural fats and oils. 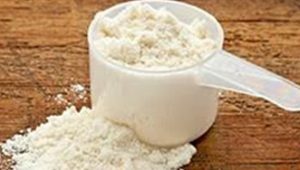 MCTs are a form of saturated fatty acids that can be digested easily and have various other health benefits.MCT Oil Powder is the solid supplement of MCT Oil for easier consumption. MCTS convert to necessary ketones shortly after their intake. They provide protection against diseases like Dementia and Alzheimer’s. They promote better mental focus, improved memory levels and decrease the symptoms of depression and anxiety. MCTs are considered to be an amazing source of energy due to its medium chain length, making it easier to convert into energy without any side effects. They are easily processed by the liver and hence, get absorbed quickly, providing sustainable energy. They result in increased metabolism. MCTs are widely used by athletes and bodybuilders. MCTs have a strong blood sugar stabilizer effect that helps in lowering blood sugar levels as they have increased insulin function. They are said to improve carbohydrate tolerance and ensure improved brain functioning as well. Since Keto Diet is all about weight loss, MCTs are an important ingredient in it. They help in appetite control thus resulting in weight loss. They tend to burn fat faster through thermogenesis and fat oxidation. They have a positive effect on fat burning on the body. People who were put on MCT diet tend to lose weight faster and had improved energy levels. MCT is beneficial for stomach and colon if consumed in the right amount. They provide protection against yeast infections such as Candida and other stomach and colon problems caused by e. Coli bacteria(13). Also, MCT help in breaking down food easily and efficiently resulting in better digestion. Due to healthy balancing, MCT ensures a decrease in constipation, diarrhea etc..They also fight against toxic substances and help in strengthening the immune system, have anti-inflammatory benefits and also longer anti-aging properties. In 2010, The Journal of Nutraceuticals and Functional Foods published a study which said that MCT can decrease the risk of developing metabolic syndrome which includes abdominal obesity, hypertension, dyslipidemia etc.. MCTs have cholesterol-lowering properties which help you keep your heart healthy. MCTs can kill pathogens like Streptococcus that cause throat infection, pneumonia; Neisseria that cause meningitis, pelvic inflammatory diseases and other such pathogens that cause stomach infections etc.. When combined with milk, MCTs proved to be more antibacterial and antiviral and inactivated pathogens that caused respiratory syncytial viruses, herpes simplex virus type 1 etc..
MCT help in better absorption of magnesium and calcium and improved absorption of other vitamins and minerals efficiently. A study also showed that MCTs highly improve the bioavailability of omega-3 fatty acids from fish oils and other marine phospholipids. Ketones are said to have high anticonvulsive properties due to which they are used to treat Epilepsy. MCTs are highly ketogenic in nature and MCT diet should consist of 70% fats, 25% proteins and 5% carbohydrates, this diversity means that more micronutrients are consumed by it. MCT can be very helpful for women dealing with an imbalance of hormones, PCOS symptoms like mood swings, weight gain and oily skin as fats are needed for proper hormone production and for maintaining a balance of hormones. MCTs are beneficial to the skin as well.